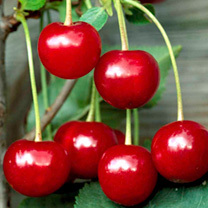 The combination of modern, self fertile varieties, Colt rootstock on which our cherries are grown means that garden cherry growing can be a very rewarding experience with regular heavy crops being very much the norm. A free growing bush tree is the best growing style and because of the nature of the tree that we deliver, little need be done after planting. Growth will be quite rapid for the first couple of years but then the influence of the rootstock and the formation of fruit buds will slow the tree down giving a much more easily controlled plant compared with older kinds. Pruning can be limited to the removal of unwanted branches from time to time as necessary, especially those which cross or rub together. This should be carried out at blossom time. As with plums, fruit bud formation in the young tree can be encouraged by the tying down of branches. 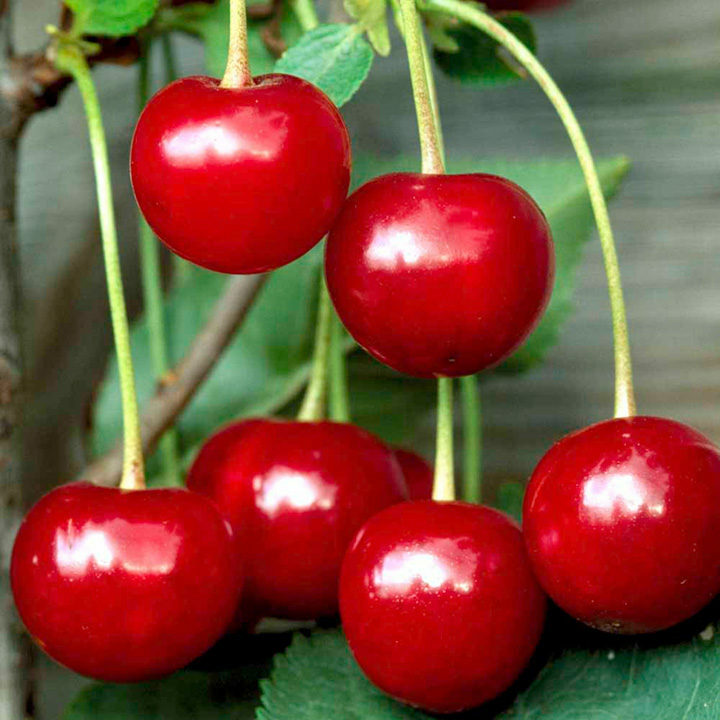 Lower branches are tied down to an angle of 90° to the trunk either to pegs in the ground or to the trunk itself, the reduction in sap flow and increase in stress causes the increase in fruit buds. Branches should be tied down in August of the first year and left in place until the following June.